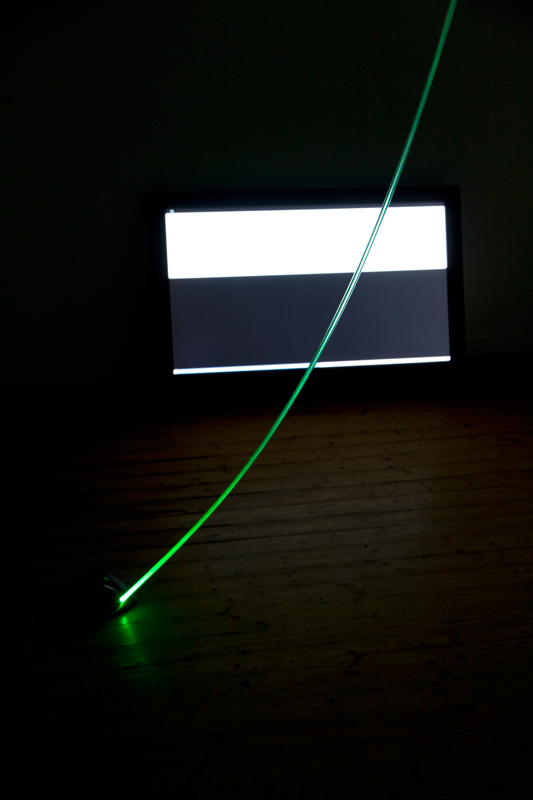 Future Gallery is proud to present Flow, a duo exhibition-by Spiros Hadjidjanos and JODI. 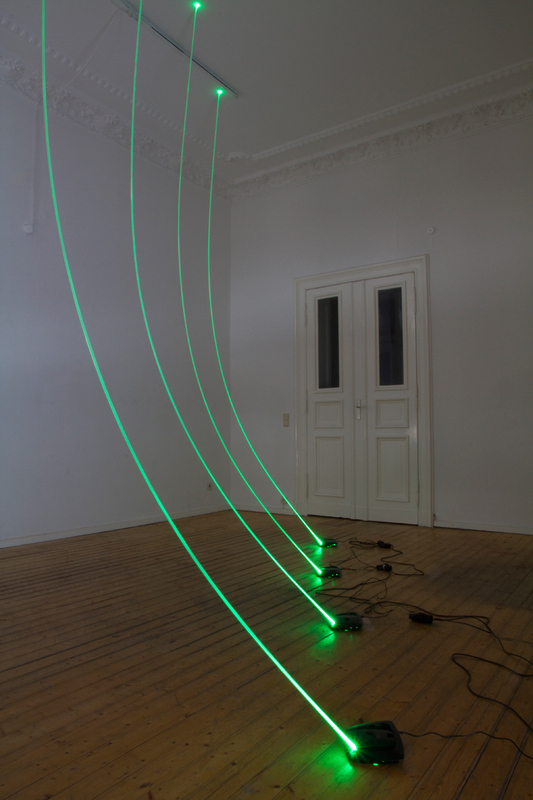 This exhibition explores the concept of Internet Time. 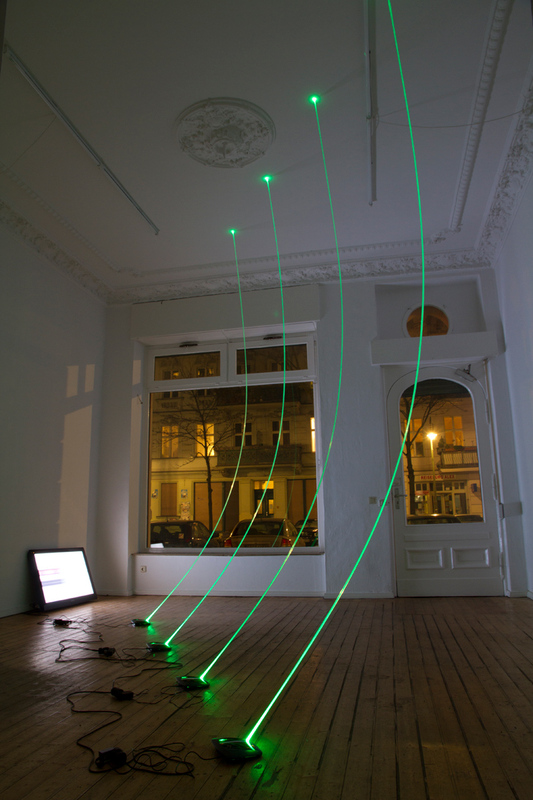 Hadjidjanos’ installation of altered routers provide visualizations of real time information packets in the form of pulsing flickers of neon light transmitted through elongated fiber optic cables. 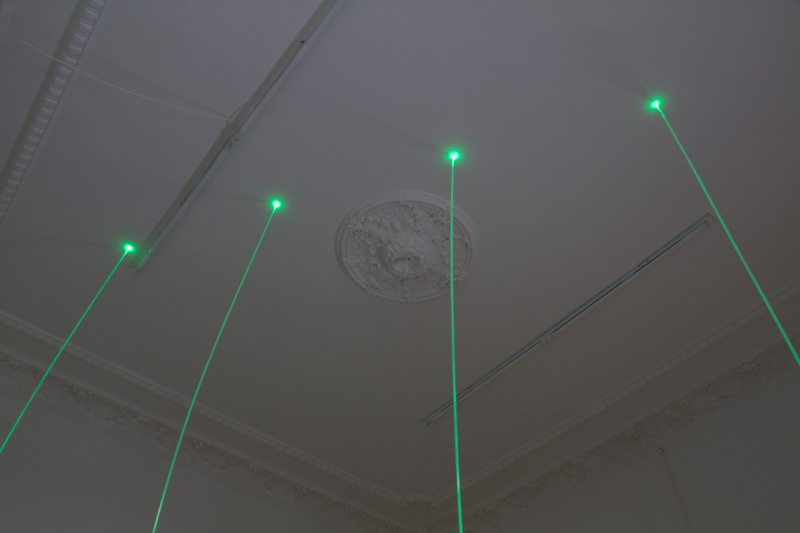 This architecture is coupled with a re-imagined website from JODI, which antagonizes the visualized network. 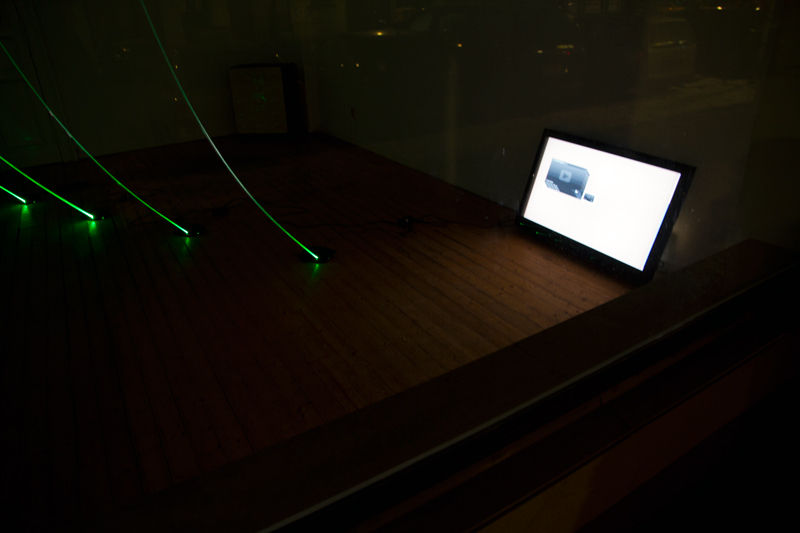 This pairing results in a visually manifested information dialogue, creating a dynamic physical Internet presence.